When you are looking for a veterinary care clinic you should be able to count on superior care and excellent service. 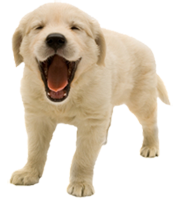 We at North Seattle Veterinary Clinic have assembled an expert team of veterinary professionals to bring you the best possible healthcare for your pet. Call 206-523-7187 to schedule an appointment and we will find a time that is convenient for you. From guinea pigs to Golden Retrievers, all pets age much faster than people, so it's important to bring your pet in for an Annual Exam every year. This visit will include a comprehensive physical exam and a time to discuss any changes in your pet's physical health or behavior. Our veterinarians will check the health of your pet from head to tail and will provide information and recommendations tailored to your pet's specific needs. We are happy to provide a written cost estimate for any services, lab work, products or medications the doctor may recommend during your visit. When you arrive for your first visit, please bring a copy of any medical and vaccine history you have for your pet and come prepared with any questions or concerns you would like to discuss with your veterinarian. It's best to keep a journal of your pet's health throughout his or her life, including behavioral and activity changes. If you have something like this, please share it with our team. If not, let us know everything that you think will be important. Our veterinarians will work with whatever information you have and our staff will gladly request records from your previous veterinarians on your behalf. In some circumstances, our veterinarians will refer you to a specialist who has advanced expertise in areas such as internal medicine, advanced dentistry or surgery. As pet advocates, our goal is to provide the best possible care and education so that your furry loved ones may enjoy a long happy life with you. We aim to treat you and your pets as our extended family and believe you will be very happy you chose North Seattle Veterinary Clinic for your veterinary care.